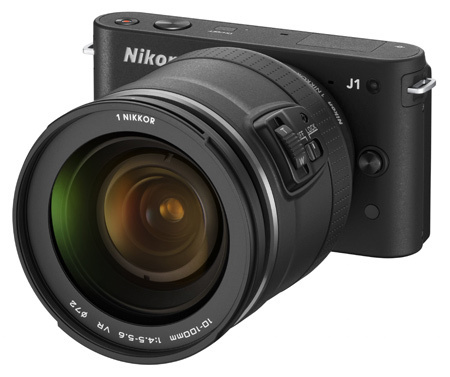 Nikon has joined the compact system camera market with a pair of new camera bodies, the Nikon 1 V1 and the Nikon 1 J1 and four lenses, and a 10.1-million-pixel CMOS sensor that is smaller than those used by micro four thirds cameras. 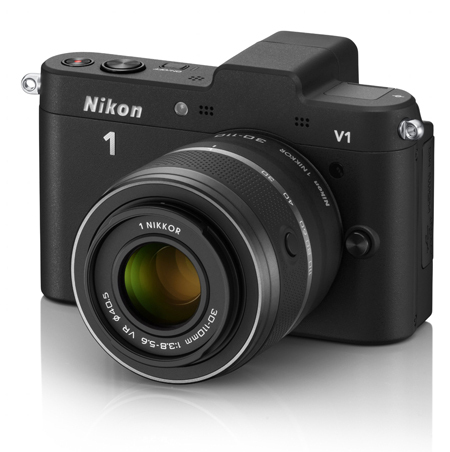 Nikon has joined the compact system camera market with a pair of new camera bodies the Nikon 1 V1 and the Nikon 1 J1 and four lenses, and a 10.1-million-pixel CMOS sensor that is smaller than those used by micro four thirds cameras. 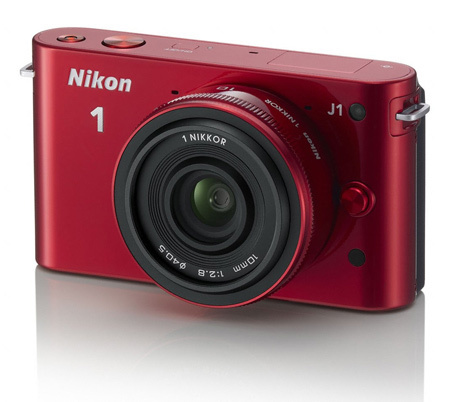 The Nikon 1 system comprises the Nikon 1 V1 and the Nikon 1 J1 cameras. Nikon claims they are the world?s smallest and lightest interchangeable lens cameras, though it appears the newly announced Pentax Q system beats them on both counts. The company has introduced a new dual processor, Expeed 3, which it claims is fastest than those used in its professional DSLR cameras, and which will drive a series of high powered functions in the new cameras. Nikon?s press release states that the 1 system auto focusing is faster than any other, and that the processor is used to facilitate a 60-frames-per-second maximum drive rate at full resolution as well as ?superior? image noise reduction. 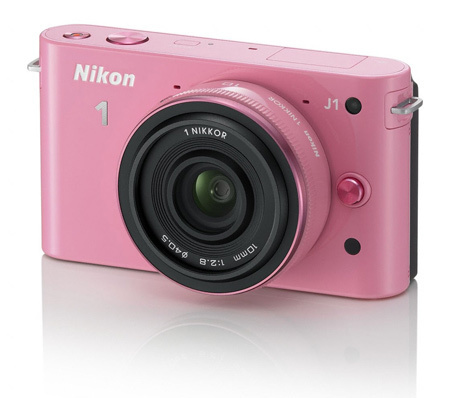 The cameras are able to record images before and after the shutter button is fully depressed and released, and a Smart Photo Selector mode shoots 20 frames instantly and chooses the best to present to the user. The cameras will feature an ISO range of 100-6400, raw shooting and three metering modes. 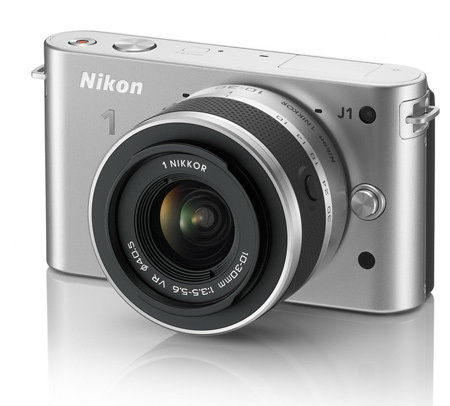 The Nikon 1 V1 also features an electronic viewfinder with a resolution of 1440 dots, as well as both electronic and mechanical shutters. 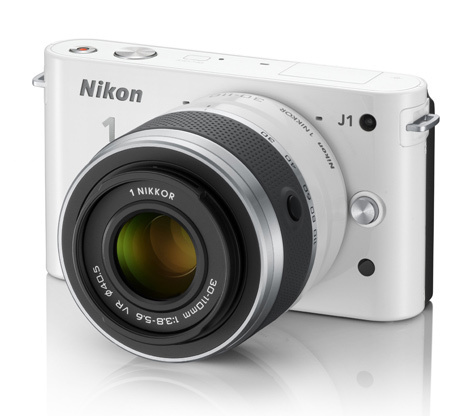 Both models will feature a built-in flash with a guide number of 5m @ ISO 100. The CX format sensor measures just 13.2×8.8mm, which is smaller than the 17.3x13mm imaging area of a micro four thirds sensor, but larger than Pentax?s 6.17×4.55mm sensor in the Q system. APS-C sensors tend to be 25.1×16.7mm. With a 13.2×8.8mm sensor stated focal lengths have to be magnified by 2.7x to give an idea of the angle of view in comparison to focal lengths on a full frame or 35mm camera. 1 Nikkor VR 10-100mm f/4.5-5.6 PD-Zoom (27-270mm in full frame terms) PD stands for ?power drive? zoom for silent and steady zooming during movie recording. 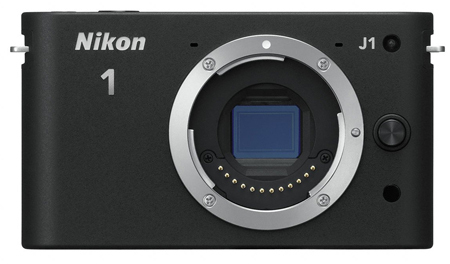 There will also be a mount adapter to allow existing F users to attach their lenses to the new Nikon 1 bodies. Called the FT1, the adapter will also deliver full AF functionality when used with AF-S and AF-I lenses. ?Unless otherwise stated, all figures are for a camera with a fully-charged bat-tery operating at an ambient temperature of 20°C (68°F). ?Nikon reserves the right to change the specifications of the hardware and software described in this manual at any time and without prior notice. Nikon will not be held liable for damages that may result from any mistakes that this manual may contain. Dimensions (W× H × D) Approx. 113 × 76 × 43.5 mm/4.4 × 3 × 1.7 in., excluding projections; thickness of body (from mount to monitor) is 36 mm/1.4 in. *1 Around 34 frames at shooting speed of 10fps; around 30 frames if shooting speed is set at 30fps and 60fps. As determined by Nikon performance tests.